I haven’t seen the GRAMMYs live in about two years. And, I’ve really slacked on the music discovery skills I used to possess back in high school and college. I blame all of this on living abroad and being lazy. But I’m in luck, and so are you. Why? Because, if you’re near a TV or your mobile device on Sunday you can enjoy the 2013 GRAMMY Awards while also discovering new artists with these awesome music apps. Check it, maestro. This one is self-explanatory. 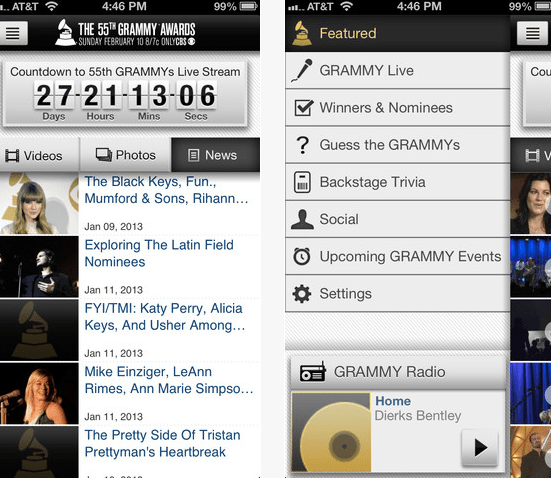 The Recording Academy has created a GRAMMY App for the big night. It’s live stream ready with features like “Guess the GRAMMYs” to predict the winners and “Backstage Trivia”. Available to download free for iPhone and iPad. Timbre is the awesome music discovery app that gives you the band intro then guides you to the show. It uses your location to show you what bands or artist are coming to a town near you. Click, listen and even buy tickets to the show. This is the perfect app for live music show lovers. And, who knows? You may get to see a future GRAMMY winner play at your fave little venue soon. Free to download for iOS. This is an app for all you live radio lovers. iHeartRadio lets you listen to over 1,500 live radio stations across the country, with special stations made for the app. And, you can customize your own stations. Check it out free online or for your mobile device (it works across just about every platform). 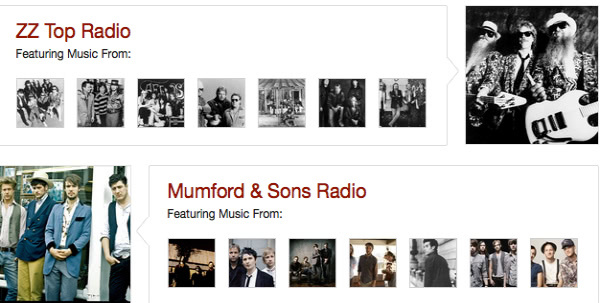 Oh yeah, and they have a GRAMMY station so you can listen to all the nominees. OK my music-loving friends. I’ve given you the tools to prepare for the big night on February 10th. Now, all you have to do is check out the nominees and cast your votes on who’s going home with the little gold gramophone. Happy listening.